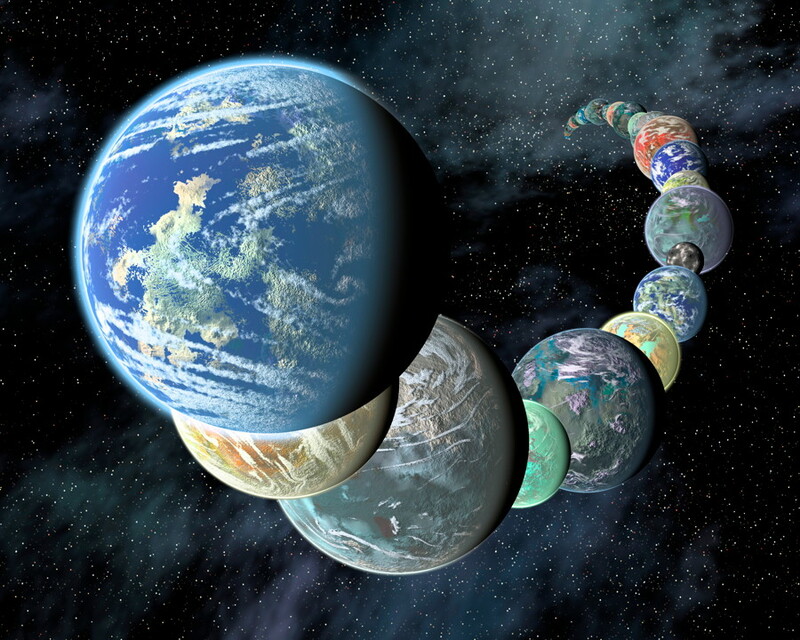 Exoplanets – planets orbiting other stars – have been found by the thousands now, with many more to come. But what about exomoons? So far there haven’t been any confirmed yet, and they are much more difficult to detect, but that may change soon. 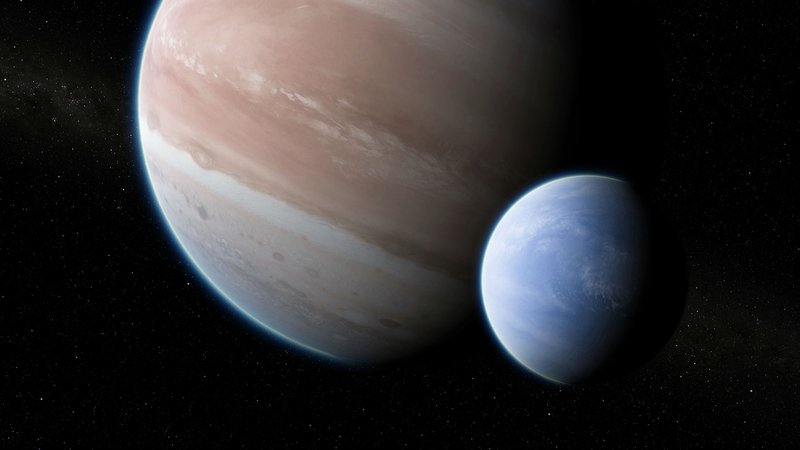 A new paper, just published in Science Advances, provides a very interesting update about a possible exomoon that we’ve heard of before – orbiting the planet Kepler-1625b, 8,000 light-years away. The paper, by researchers Alex Teachey and David Kipping at the University of Columbia, is an update to earlier work and gives new support to the possibility that the object really is a moon. If so, this moon is huge – about the size and mass of Neptune, while the planet is several masses larger than Jupiter! 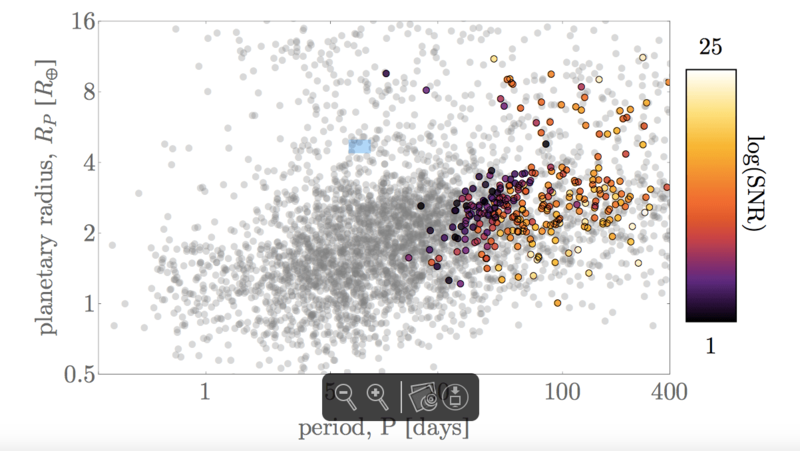 Teachey and Kipping analyzed data from 284 Kepler-discovered planets which were in comparatively wide orbits, with periods of greater than 30 days, around their host star. As with many other exoplanets, they measured the amount of dimming that a star would experience as a planet transited in front of it. In the case of Kepler-1625b, they noticed some additional anomalies. Based on those observations, the researchers were able to get 40 additional hours on the Hubble Space Telescope to follow-up on the findings. The data obtained by Hubble was four times more precise than that from Kepler. Hubble also found that the planet began its transit 1.25 hours earlier than had been predicted. This is consistent with the planet and moon orbiting a common center of gravity (barycenter) that would cause the planet to wobble from its predicted location. “An extraterrestrial civilization watching the Earth and Moon transit the Sun would note similar anomalies in the timing of Earth’s transit,” Kipping noted. It’s possible that the anomaly is caused by a second planet, but Kepler did not find any evidence of a second planet in that system, making that possibility unlikely. There are no moons anywhere near that size in our Solar System, but there are still some planet-moon systems that are otherwise similar, such as Pluto-Charon and our own Earth-Moon system, with similar mass-ratios. Both Charon and our Moon are very large in comparison to their host planet. But while Kepler-1625b’s tentative moon is huge in size compared to its planet, its mass is estimated to be only 1.5 that of the planet. Also, given the moon’s size, it is likely to be gaseous rather than rocky, something else that does not exist in our own Solar System – kind of like a gas giant planet orbiting an even larger gas giant planet. “Together, a detailed investigation of a suite of models tested in this work suggests that the exomoon hypothesis is the best explanation for the available observations. The two main pieces of information driving this result are (i) a strong case for TTVs, in particular a 77.8-min early transit observed during our HST observations, and (ii) a moon-like transit signature occurring after the planetary transit. We also note that we find a modestly improved evidence when including additional dynamical effects induced by moons aside from TTVs. The exomoon hypothesis is further strengthened by our analysis that demonstrates that (i) the moon-like transit is not due to an instrumental common mode, residual pixel sensitivity variations, or chromatic systematics; (ii) the moon-like transit occurs at the correct phase position to also explain the observed TTV; and (iii) simultaneous detrending and photodynamical modeling retrieves a solution that is not only favored by the data but is also physically self-consistent. 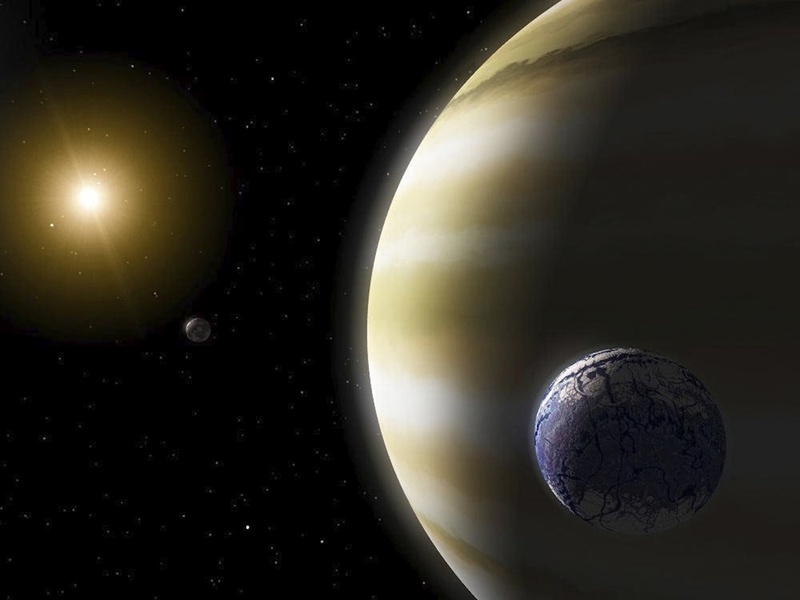 As of now, it would seem that the first exomoon has probably been found, but more observations are still needed to fully confirm the finding. The discovery also suggests that there should be many other moons out there, including of course smaller, rocky ones like in our Solar System.